So you want to play it that way? I'll show you! 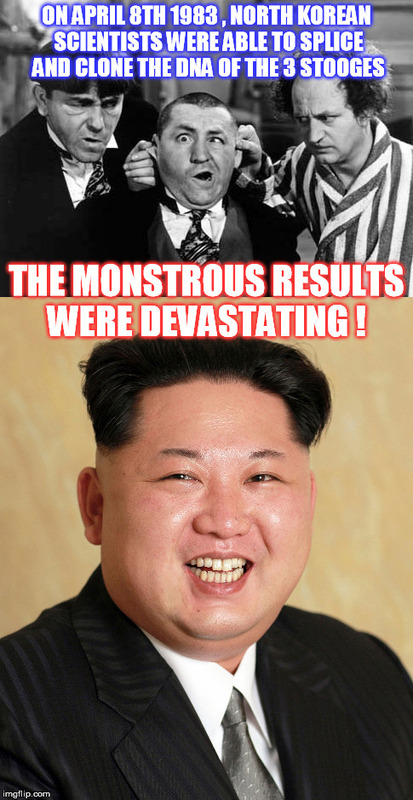 ON APRIL 8TH 1983 , NORTH KOREAN SCIENTISTS WERE ABLE TO SPLICE AND CLONE THE DNA OF THE 3 STOOGES; THE MONSTROUS RESULTS WERE DEVASTATING !